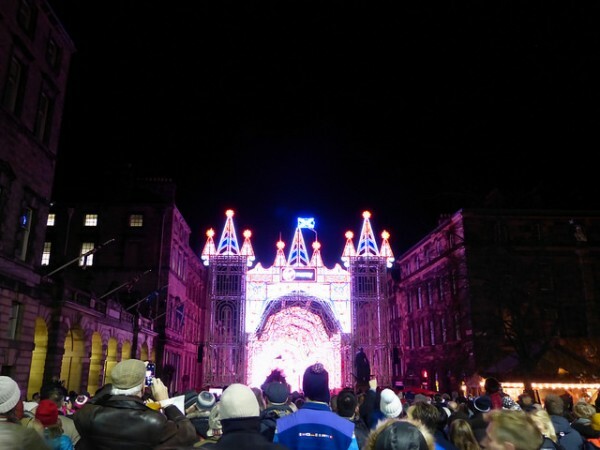 As a regular host for the Twitter Chat, #ScotlandHour since mid-2011, it was a pleasure to be invited to share the excitement of the opening of one of the features of Edinburgh’s Christmas and New Year celebrations this year. 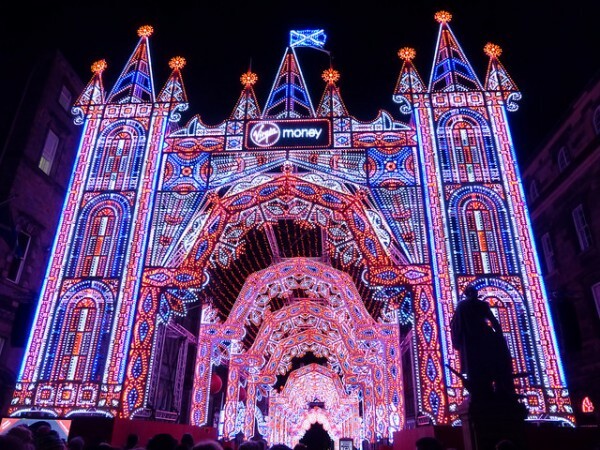 The Virgin Money Street of Light is situated in the central Royal Mile on the High Street, and the spectacle runs twice nightly from St Andrew’s Day (30 November) to Christmas Eve (24 December). 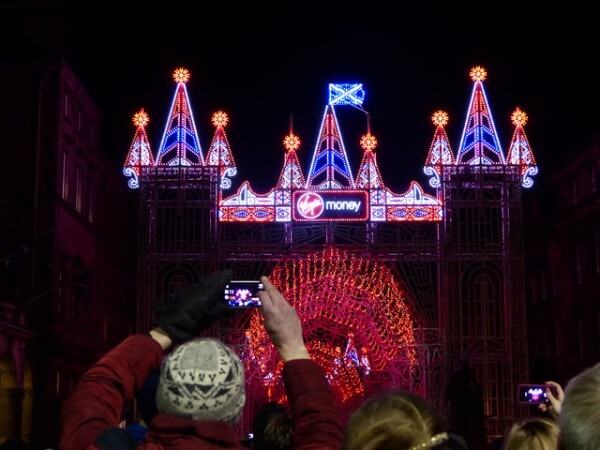 Full details: Edinburgh’s Christmas. 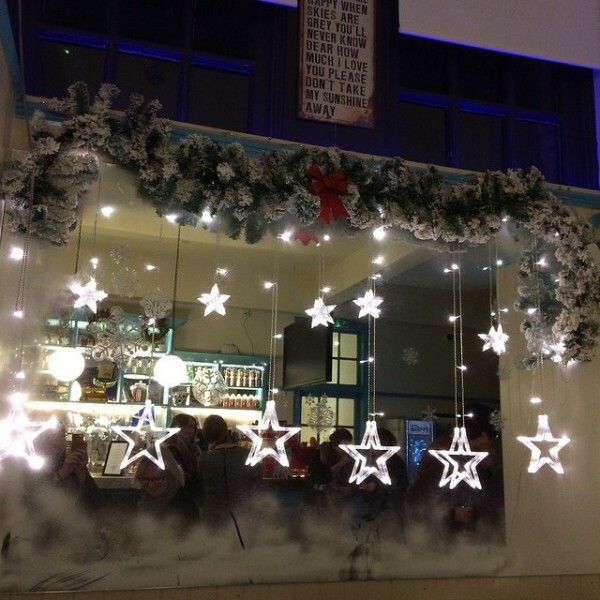 We started our evening by gathering in The Gelato Parlour of the Contini’s Royal Mile Cafe, where the scene was set with festive decorations and tasty morsels, as well as a welcome hot chocolate to see us on our way. 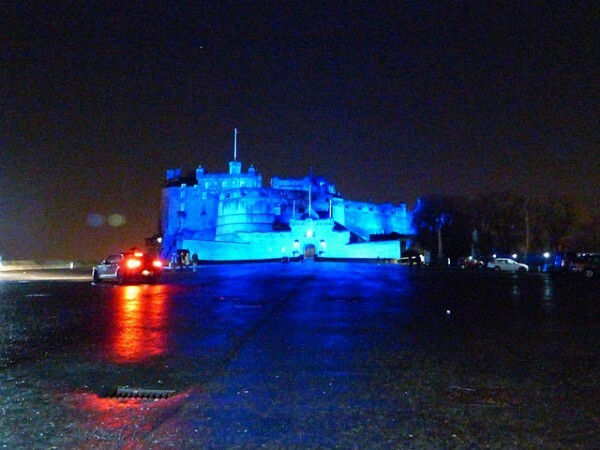 Edinburgh Castle was lit up in blue for St Andrew’s Day, but the brake lights of a car on the esplanade were interfering with the scene. It was a bit chilly to go back later to catch the perfect image! 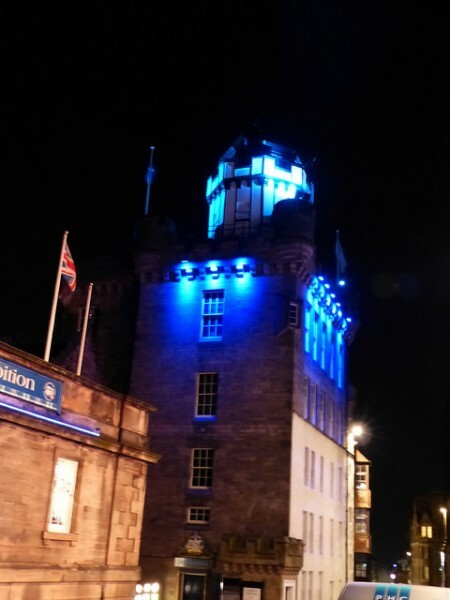 Other buildings like the Witchery Restaurant and the Camera Obscura joined in the blue St Andrew’s Day theme. 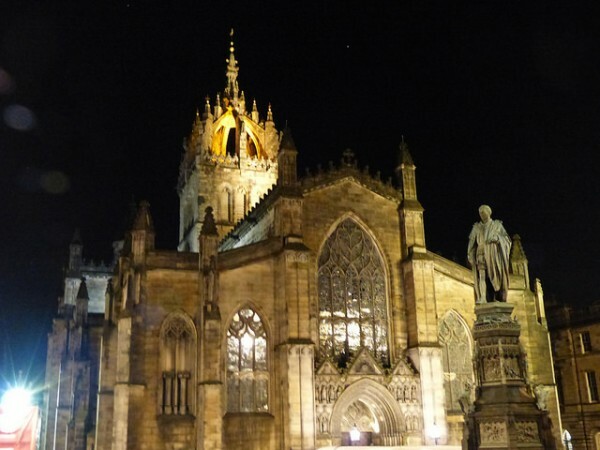 Passing the High Kirk of St Giles, or St Giles Cathedral, we could just catch a glimpse of the spectacle ahead. As the performance started everyone was ready with cameras to capture the scene. 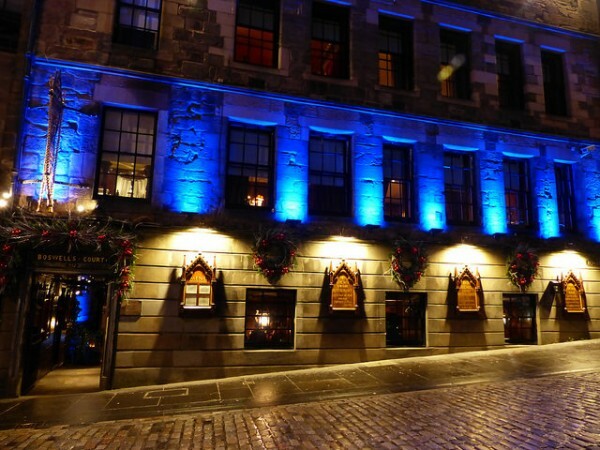 You can see the scale if you look at the buildings on either side of the Royal Mile. 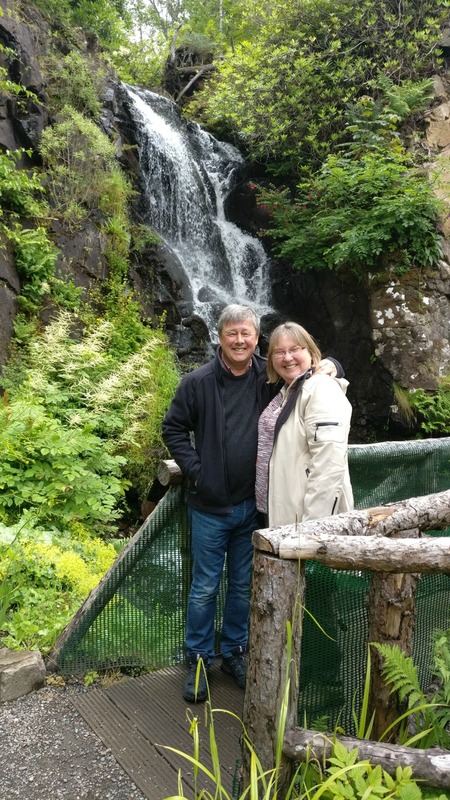 Our top tip when you visit is to enjoy the spectacle as it unfolds and the choirs provide the musical entertainment, then photograph at your leisure after the 20 minute performance is over. 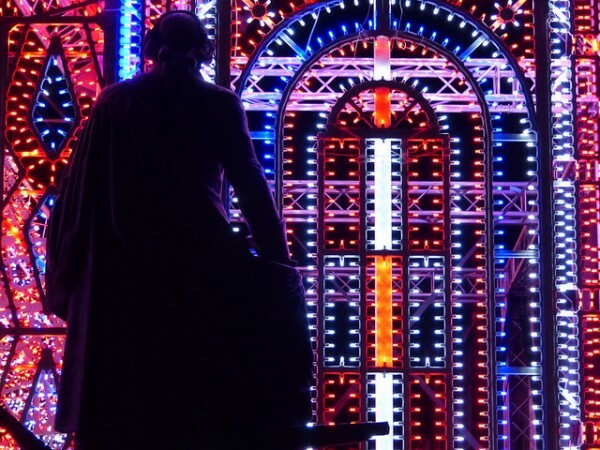 The statue of Adam Smith is silhouetted against the street of lights – it looks like a giant Juke Box just for him! 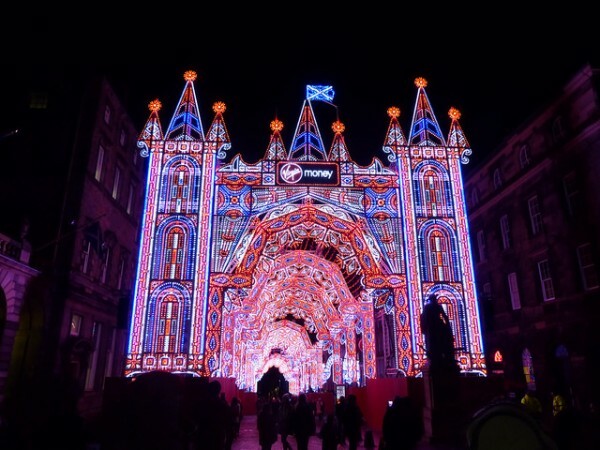 Read some tips for visitors at Edinburgh Spotlight, and enjoy your visit to Edinburgh for Christmas.